One of the typical design objectives of municipal Wi-Fi systems is the free or low-cost provision of connectivity for citizens, including people with disabilities and others impacted by the digital divide. This paper examines a range of municipal Wi-Fi implementation models for potential impact on e-accessibility. 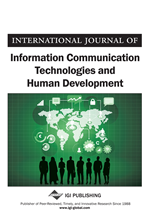 A comparative analysis was undertaken of sample U.S. and European municipal Wi-Fi systems to assess the business model and stakeholders involved in municipal wireless initiatives and to examine the degree of accessibility to or sensitivity of, municipal wireless systems for people with disabilities. As many people with disabilities are currently affected by social disparities in education and income, further marginalization of their communication and information access creates additional access barriers to critical information and full participation in community life. To some extent, there is a “chicken and egg” relationship between the diffusion and adoption of these systems, and the perceived need for these systems. Broadband technology, and in this case, wireless implementations, has been seen as key to enhancing Internet diffusion (Papacharissi & Zaks, 2006; Sirbu, Lehr, & Gillett, 2006; Dingwall, 2007; Wallsten, 2005). Industry stakeholders and researchers have identified broadband access as necessary for the evolution of advanced communications services, as well as for associated economic growth (Gillett, Lehr and Osorio, 2003). The United States Congress also directed states and the FCC to encourage broadband deployment in a timely manner.3 Despite these stated goals for faster broadband deployment, the U.S. has not adopted an official policy or regulation aimed at promoting or developing broadband deployment (FCC, 2005; FTC Report, 2006). The Broadband Technologies Opportunities Program, part of the American Recovery and Reinvestment Act of 2009, was recently funded $4.7 billion to support the deployment of broadband infrastructure in unserved and underserved areas. The program also encourages sustainable adoption of broadband services, making the need for implementing regulations and policy more timely than ever before.4 Rationales for the development of municipal Wi-Fi systems include bridging the digital divide, enhancing economic development, reducing the cost of government, improving the level of services provided to the public, increased opportunities for education, and offering an alternative to the expensive process of physically cabling or laying fiber optics (Shein, 2005). Wi-Fi systems could ideally deliver Internet access to individuals at much lower cost than traditional broadband technology, and provide coverage via a ubiquitous “cloud” model or the creation of a network of “hot-spots”.